The Digital Bible Library effort seeks to coordinate the efforts of all organizations that translate and publish Scriptures to make access easy and to promote sharing through clear and accessible licensing information. It is backed by Every Tribe Every Nation with the vision statement, "Eradicate Bible Poverty". The DBL is just one aspect of their effort, and they have successfully brought together missions and publishers in this joint effort we would never have dreamed possible. The result is the availability of our texts in over 700 languages on the web and in mobile apps such as YouVersion's Bible app. More languages are going up weekly as we convert archived Scripture texts and run them through the DBL process. We are working towards a clear plan to allow any translation project to upload individual books as they are completed. It is currently possible to do this, and the draft instructions for our recommended implementation can be found here. The Paratext Bible translation software is the gateway through which texts are put into the DBL. Texts must be consultant checked and pass all Paratext Basic checks for good form, at which point they may be uploaded. Once there, they may be licensed for any of the more than thirty "library card holder" agencies who have applied for permission to receive content from the Digital Bible Library. Examples are YouVersion's Bible app, BibleSearch (Bibles.org), and ScriptureEarth.org. Distant Shores Media has a translation environment that they are making good progress on for the Android platform. The platform is working for translation of the Unfolding Word Bible stories into many languages. These stories have a picture and paragraph of text that can be translated into any language. While the platform is currently being used for these stories, they are gearing up for Bible translation. In order to understand their motivation for this Bible translation platform, I need to say something about their philosophy. Founder, Tim Jore believes that traditional copyrights do more to damage the global cause of the church than to protect it. A copyright that prevents derivative works may appear to protect the translation from being changed, but in fact, it prevents it from being recorded, adapted, or translated into any other language without the express permission of the authors. DSM wants to build a body of Scripture and discipleship materials both by and for the global church without any such restriction so that they may be freely translated. Any text used in this platform has the Creative Commons Share-Alike Attribution license which means that it may in turn serve as a source text for any other translation as long as the source is attributed in the target. Unfolding Word is targeting 51 different gateway languages in the world that, when translated, will provide maximum leverage to reach the remaining languages. The biggest issue, of course, is that unless existing translations in those languages are re-released under the CC SA A license, they will have to be retranslated from scratch. I get it, I really do, but the cost seems incredibly high. I took a look at their translation platform on Android. They are building a body of unrestricted translation resources that seem adequate with Translator's Handbook-like suggestions for translation. The resources for Luke are completed and they are hard at work to produce more. To solve the problem of typing special characters on Android, they've created their own keyboard editor that will enable the creation of keyboards for use in translation on these tablets. Since the website has changed from youversion.com to bible.com, it is wiser to just refer to this now as "the Bible app". I often get blank stares when I ask people if they use YouVersion on their mobile device. They are the number one hit for Bible in both the Google Play Store and in the iPhone App Store. They have now also spun off a Bible App for children called OneHope. YouVersion's director, Brian Russell, gave a little history on the Bible app. The YouVersion website was the first product and it didn't take off as hoped. They were about ready to pull the plug on it, but then Apple invited independent developers to create apps for the new iPhone. YouVersion got right on it since most of the team had iPhones and had been accessing the website primarily on their phones anyway. They set a target of 75,000 installs within the first three or so months. They managed to get in as one of the first 200 independent apps released for the iPhone. The release occurred on a Friday and by Monday there were 83,000 installs. Currently, they've recorded over 177 million unique installs on mobile devices. (My Android phone hacking causes my phone to appear as a different device every couple of months, so take that with a grain of salt :-) Today, it is no surprise to know that their Apple Watch edition has already been released. YouVersion has other ways to measure engagement: number of chapter/verse references navigated to, number of reading plans completed, and all of these continue to rise with 27 million Bible reading plan completions since the start. Now that is an impressive statistic! YouVersion continues to be a popular platform, but is and will remain linked tightly with the Internet. Although they are trying to be more global by localizing the interface in 41 different languages, over half their user base is still in the US. I think many of our minority language groups will be happier with Bible apps produced in the Scripture App Builder, now an official 1.0 release. Scripture App Builder version 1.0 has been released, and has even had a few incremental improvements since then. It is important to note that SAB is an app builder and that the intent is to design each app for a specific audience rather than have a one size fits all approach to a Bible reader. That way, people searching for their language in the app store will happen upon the specific app designed for them. Richard Margetts, the app's developer, serves full time in Scripture Engagement. He stopped me as I was about to put my app up on the web with the title of "New Testament" in the vernacular language. "Do you really want to name the app that? Will the vernacular speaker know what New Testament means?" Oops. I guess I still have a few things to learn. We'll go with a more descriptive title. It's nice to know how all of this was carefully thought out and designed with Scripture Engagement in mind. The interface can be completely localized in the target language. SAB does Scripture audio embedding and, like Bart Android, can be configured to highlight each phrase as it is being read. SAB can also be used for picture Bible stories with audio, and even as a song book for a church. There are suggestions on how to set this up, but anyone who knows USFM codes can tweak them to get the type of presentation they would like in the app through trial and error. We will soon add a section to tiki.lingtransoft.info with detailed instructions. Bart Android is a very impressive app and seems to do all the things that Scripture App Builder (SAB) does, and then some more. It was developed by Sheldon Kehler and its support of complex fonts on Android is unparalleled in the world, but that is what you get when you have an expert programmer from SIL's Non Roman Script initiative tackle a font problem. What will continue to make BART Android unique is its ability to manually map the position of misbehaving glyphs that are not supported by the Android renderer. Although SIL's LSDev has made the decision to promote and support SAB as our primary platform, Bart Android will continue to be an option for those whose needs are not met by the current SAB. It should be mentioned that the name Bart comes from the BART tool for original language research that was part of Translator's workplace. This app does Hebrew and Greek and will even do interlinear in the languages of your choice. As I understand it, the Greek is unencumbered, but the Hebrew text exists only in Sheldon's personal copy until such a time as he is given permission to distribute it. Not sure what's happening on that front, so feel free to make yourselves heard if that would be important for you. Ron Lockwood led a session on crowd sourcing. He explained the various uses of crowd sourcing and encouraged us as an organization to make use of it to accomplish repetitive and time intensive tasks where possible. While its reach into minority languages is very limited, there are other majority language tasks that we can pass off to the crowd and accomplish for pennies on the dollar. 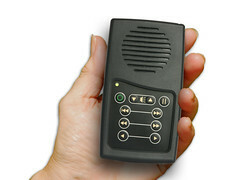 Need an interface translated from English into another language? Give the job to the crowd. Need recorded text transcribed? Let the crowd do it. Here's how it works. You have to create an account on one of several crowd platforms such as Amazon's Mechanical Turk or Crowdflower. Then you have to set up the parameters for the job. On Amazon's platform, workers only get paid if you approve of their work. On Crowdflower, they get paid upon completion of the task. In order for this to succeed, you need to set up some tests to filter out people who are not qualified. For a translation task, you can take a sample phrase--one that is not correctly translated by Google translate--and create a qualifying test. If they translate the phrase correctly, they get accepted to continue on to do the actual task. One project used a three stage approach to translate texts into Arabic: 1) 1) Three different people translate the same sentence. 2) Others edit and correct the translations 3) Others vote which translation is the best. In the end the result was accurate and still significantly cheaper than paying a professional translator. Ron recommends that you get started by signing up for an account on Mechanical Turk or CrowdFlower and accept some of the posted jobs to see how the system works. Don't quit your day job just yet. You'd be lucky to earn $1 per hour, but millions of people around the world are actually using this to supplement their income. Has a number of strategies for Scripture recording, and a number of options for the final presentation, with or without drama. It is possible to use HearThis to work with them for a simple single-voice recording. For a multi-voice recording, you can use their VirtualRecording website, which allows the recordings to be done locally and uploaded to FCBH for their processing. The process is interactive, so that any problems can be signaled back to the team for re-recording. And of course, FCBH is still always ready to send a team for an on-location recording to do a full New Testament by one of their 32 field teams in 16 countries. Peter Brassington presented the Bible Box for Android, a customization of the PirateBox app that looks a little less, err, piratey. It's functionality is to turn a rooted Android phone into a web fileserver that people can connect to and download content. If you are not familiar with this, an immediate benefit is the ability to share files without thumbdrives or SD cards, which can easily corrupt computers with viruses. BibleBox is also available for WiFi routers. At their site you will find instructions how to make your own BibleBox wifi device, and you can even make one on a battery operated portable WiFi router. Of course, an Android phone qualifies as that and may already be in your pocket. But it will have a limit of 10 concurrent connections whereas the router based version will not. Tom S. presented HearThis, a simple recording tool that enables any average user to create Scripture recordings from Paratext texts. The audio is tagged with verse or phrase boundaries, making it suitable for use with with Scripture App Builder among other export formats. Tom's twist on HearThis was a way to use it to do the reverse. Record the Scriptures first in HearThis and then later transcribe the text into Paratext. HearThis requires verse text to pre-exist in Paratext and Tom gets around this by adding dummy text in Paratext first. I suppose you could even set it so that you are looking at the Scripture text in a language of wider communication in HearThis, but providing the recording in the target language. In such a process, you can keep re-recording until you are happy with the translation. Two offerings this year for Scripture audio players were the Envoy S and S Dual. The latter allows Bibles in two different languages on a single device, or a Bible and other materials on the same device. Back again this year was the powerful and innovative LED lamp with built in radio and mp3 player called Kulumi. Content is supplied via an internal hidden SD card or an external USB port for use with a thumbdrive. Think of it as a light first and foremost, with the added benefit of playing our content. People will want to buy it because it is such a good lamp. LingoPolo is a language learning website developed by Hugh Prior, a friend of SIL. He is interested in learning how to help you get language data and recordings that would be useful in language learning up on a website in a format that might be able to be imported from our FieldWorks and SayMore tools. SIL is currently working on a similar effort with Transparant Language, a commercial company similar to Rosetta Stone. Transparant Language is willing to help us get language project data into their system for us to use freely. LSDev is working with the Cherokee nation in order to bridge their data from Fieldworks and SayMore into Transparent as a test. The Vernacular Media Services department has traditionally worked with SIL to help projects identify and develop a plan for meeting their top media needs. VMS offers their products, consulting skills and training to all groups, not just SIL. Contact me through this site and I'll connect you with them for training needs and options. Website to connect with other Christians passionate about sharing Jesus using digital strategies. This Scripture Application and Leadership Training course is working powerfully in Papua New Guinea, as I can confirm from my recent trip there. It is a course in twenty lessons to move the Scriptures from a printed book to become a manual for life. Find out how to translate materials into different languages, contact me through this site and I'll connect you with them to learn more about the S.A.L.T. program. This website was focused on resources for the Americas area but is growing with more materials from all over all the time. Scripture, Bible stories, Audio, and Music are all welcome there. MAF has put together a platform to help you generate mobile training content for display on phones, tablets or computers using HTML. Files can be easily transferred for offline use or on the Internet. One key feature is the ability to do testing in the app with results to be collected by the instructor.